Wyatts family run Plant Centre, Farm Shop and Tea Rooms are proud to support Shipston Home Nursing to help them to continue to provide such and fantastic free service. 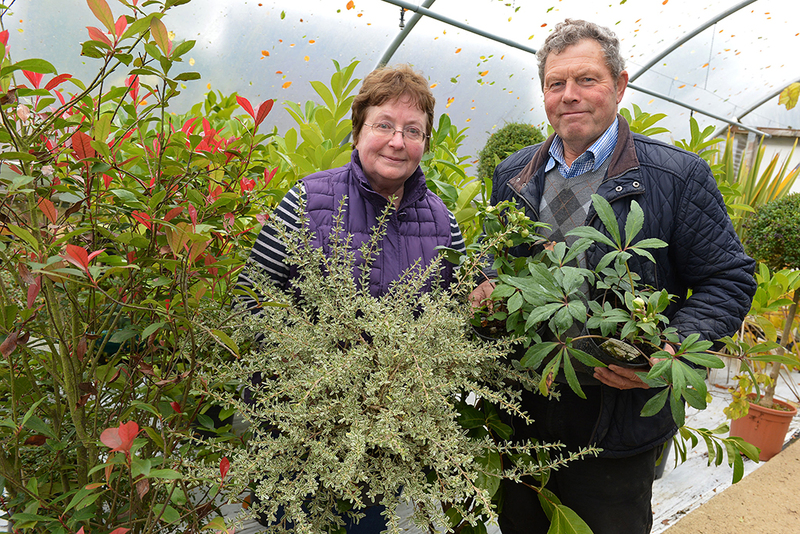 John and Pat are pictured above in the plant centre. Wyatts is situated at Great Rollright in the picturesque Cotswolds, in an Area of Outstanding Natural Beauty, with the most stunning views across rolling landscape towards the north west. Located on the borders of Oxfordshire and Warwickshire near to the ancient Rollright Stones and close to the memorial site of a crashed American WW2 bomber. Wyatts is the ideal place to find a wide selection of plants, specimen trees, fresh local produce, gifts, books and garden accessories. Our Tea Room is the perfect location for visitors to the area or for those wishing to have a family get together. Parents can relax with a cup of tea whilst their children use the play area and garden attached to the Tea Room. But no visit is complete without trying our delicious artisan made ice cream!